Ishant Sharma, who was the main culprit behind the India's lose against Australia by giving away 30 runs in the 48th over, has trended all over the social media with various jokes. Here are few of the best ones collected across the social Media. Hope you enjoy them all. Note : This is just for Fun ! Ishant Sharma is the greatest bowler ever. He doesn’t just reverse swing the ball, he reverse swings the whole match. If Live gives you 'Sharma', make sure its 'Kapil', not 'Ishant' ! Ishant Sharma: Kaun BC bola target 360 hai? Kohli: BC wo last match tha. Ishant Sharma has become the most searched person on Google by Australians Yesterday. Ashish Nehra, Munaf Patel, RP Singh, Sreesanth & Ashok Dinda have just accepted Ishant Sharma's friend request. Australian coach : Well played boys! But you shouldn't have scored that many runs of Ishant sharma. They may drop him now. If I was Ishant Sharma, I would have announced my retirement right away and accepted this as my farewell match! Wait for a FB Page called “I was alive when Ishant Sharma took a wicket”. Ishant Sharma gave 70. Now, Rohit Sharma has scored 75. Chalo, the Sharmas are showing a profit. Now, if only we had a batsman called Kumar. Australia defeats India by Ishant Sharma & 16 runs. Ishant Sharma is trending --- for a moment I thought he too had retired, for good. Don't cry because it's over. Cry because it's Ishant Sharma's over. End of an era as Agarkar retires, but no respite for Indian cricket fans - Ishant Sharma to step in to fill the void. Dear Rahul Gandhi, Marry Ishant Sharma. This will save two houses. Sincerely, Common men of india. Who is the worst bowler in theworld?? A. Ishant Sharma B. Option A C. Option B D. All the above ..
Google has rolled out new updates in the way they show their advertisements. As per the new terms and conditions, user names and photos would be used as recommendations in the advertisements. The name and photos would be pulled from the Google+ Profiles. 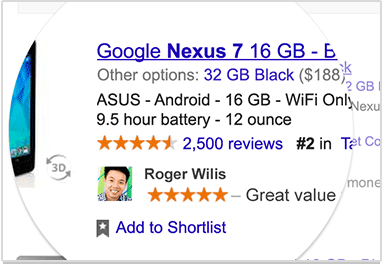 Shared Endorsements, termed by Google, would be using the user names and images to rate the advertisements, and show the recommendations to your friends. Google provides an option where you can disable the shared endorsements so that your friends cannot see your name and image in the ads. 2. Scroll to the end of the page, uncheck the option " Based upon my activity, Google may show my name and profile photo in shared endorsements that appear in ads." Now, Your details would not be shown in the Shared Endoresements. Share this, if you liked ! Thanks. The most awaited Vidhan Sabha elections 2013 dates have been announced officially. There would be elections in 5 states as Chattisgarh, Delhi, Rajasthan, Madhya Pradesh and Mizoram. This elections would play an important role in the Narendra Modi vs Rahul Gandhi battle for the upcoming loksabha elections in 2014. This elections would be very important for Narendra Modi, as he is officially declared as the Prime Minister candidate for NDA before elections. Aam Aadmi Party which has been active since last one year in Delhi, can make difference in Delhi. Certainly, the elections would be interesting to watch. Madhya Pradesh elections would be in single phase. 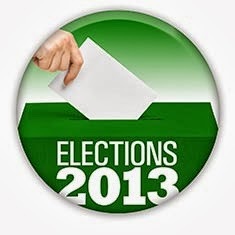 The elections date would be on : 25th November, 2013. Mizoram elections would be in Single Phase.